Because we love you and we love the earth, we will never use parabens, phthalates, SLS, synthetic fillers or fragrances or any other creepy stuff. The synthetic fragrances used in cosmetics or skin care can have up to 200 ingredients because they are not required to disclose specifics because their formulas are federally protected. On a label they will be classified only as “fragrance.” Some problems caused by these chemicals can include: medical side effects including hormone disruption, headaches, dizziness, rash, and a myriad of other issues. It’s important to avoid cosmetics or skincare products with the word “fragrance” in the ingredients- look for phthalate-free or organic/natural. Parabens are widely used preservatives found in food as well as cosmetics and personal products like soap, moisturizers, deodorants, etc. Almost everyone is exposed to parabens: the Centers for Disease Control and Prevention tested more than 2,500 urine samples and detected methyl paraben in 99 percent and propyl paraben in 93 percent. 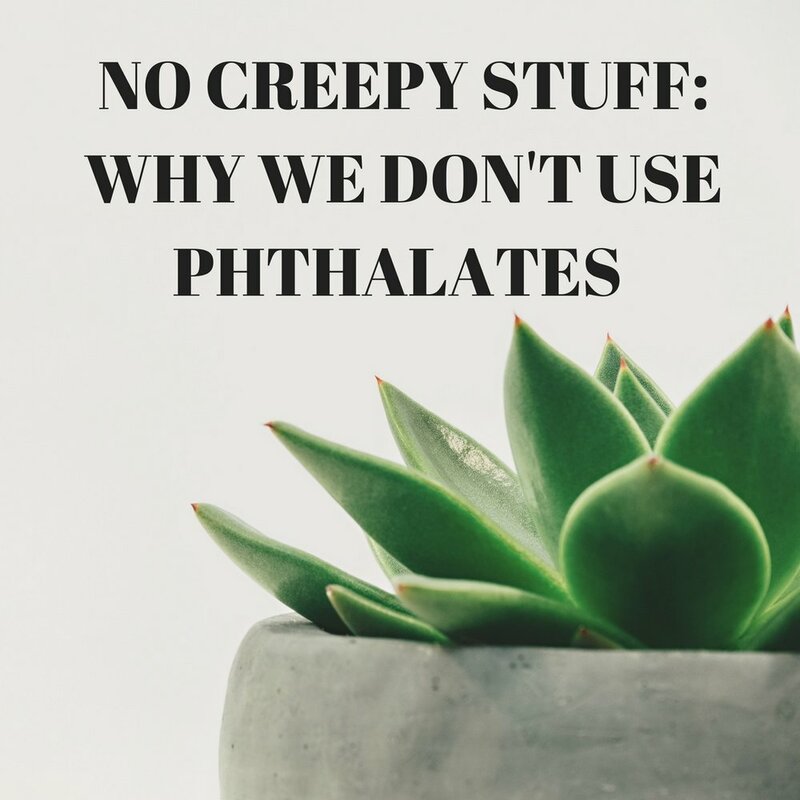 Phthalates ('tha-layts) are plasticizing chemicals, widely used everywhere from food containers to nail polish and, until a recent ban, were also used in children's toys. In cosmetics, phthalates are used to blend ingredients and soften skin. But, there is mounting evidence that they disrupt the endocrine system and may cause birth defects. The EU banned them from cosmetic use back in 2004.